One of the toughest perennial wildflowers, OxEye Daisy is famous for painting entire roadsides white throughout the country. This variety is extremely easy to grow and delights with gorgeous ‘She loves me, she loves me not’ flowers in the summer garden or meadow. OxEye Daisies bloom profusely, offering plenty of flowers to cut for gorgeous summer bouquets. This variety is prohibited in some states, so please check before planting. 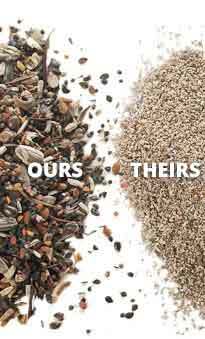 All of the seed we handle at American Meadows is non-GMO, neonicotinoid-free and guaranteed to grow. Perennial. This is the common roadside daisy which is one of our toughest perennial wildflowers. First spring after germination the season before, bloom is extremely early and very profuse. One of the first wild perennials to bloom in any meadow. For a similar species to use where ox-eye daisy is prohibited, see wild shasta daisy, C. maximum. 1/4 lb covers 3,630 sq ft.
1 lb covers 14,520 sq ft.